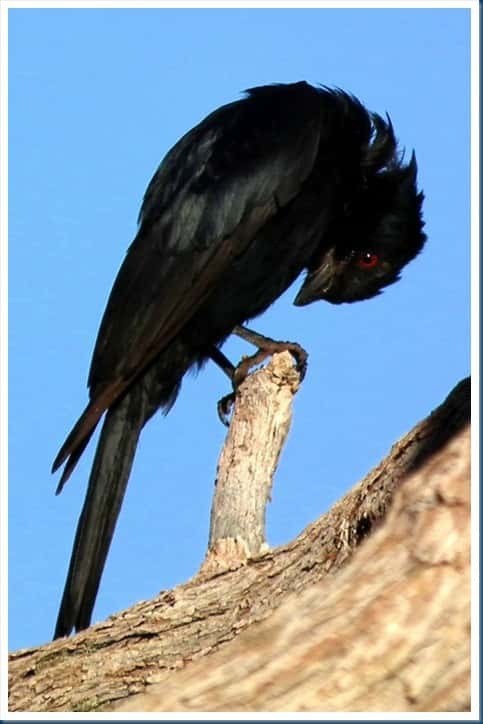 The forked tail Drongo is a small bird with a fascinating talent. It is able to mimic the sounds of many other animals. This little bird impersonates other animals to steal food. According to a study released earlier this month it gets as much as twenty - three percent of its food in this fashion. This bird can mimic the sounds of many other birds and it can also imitate mammals such as meerkats. They usually collect their own food and alarm other animals when predators are close by. Sometimes however, they create false alarms in order to chase animals away from food. This gives them the chance to eat prey that is too large for them to hunt themselves. In short, this bird tells lies. 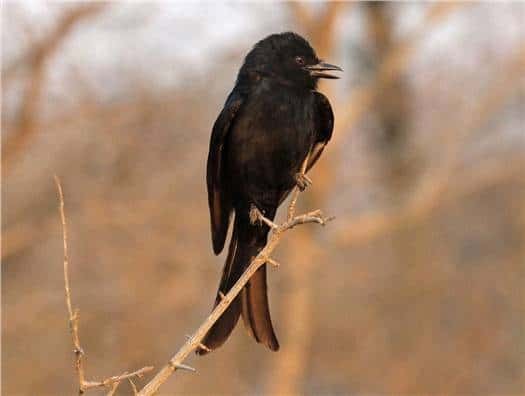 via Fork tailed Drongos are common in South African Kalahari Desert. Scientists spent nearly 850 hours tracking them in order to observe their behaviour. It was discovered that they often switch their calls in order to avoid detection. This is so that the other animals will not become aware of their tactics and cease to heed their calls.